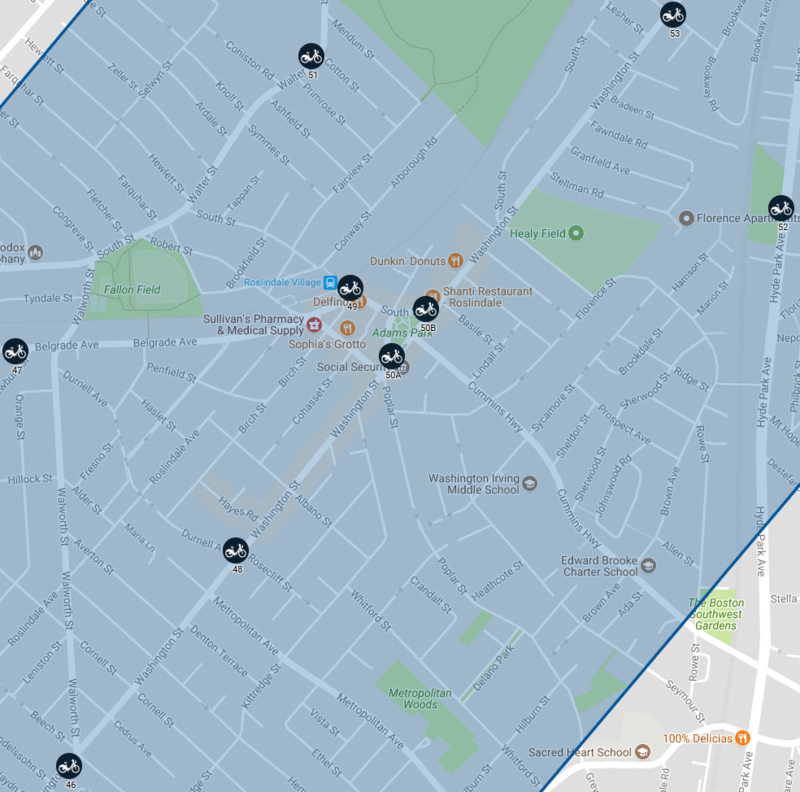 The Boston area’s bike share program (which will soon be known as Blue Bike) just published its proposed locations for its upcoming expansion. We are delighted to see several spots in and around Roslindale Village. Importantly, this infrastructure investment will allow people who live nearby to get to and from the shopping district, the commuter rail, and bus stops, with a 5 minute bike ride who might previously have driven. It should also increase access to and from the neighbor from nearby areas, especially Forest Hills which will soon have thousands of new residents. When paired with the Gateway Path, the new bike share locations will greatly improve our connections with our neighbors. Offered essentially without commentary, other than to say that a central city like ours has what amounts to both a moral and fiscal obligation to its citizens to plan, regulate for, and choose more intense, higher return use of its land base every time the opportunity arises unless there is an overriding, demonstrable ecological or social reason not to do so. This is another reason to YIMBY/QIMBY. WalkUP Roslindale Snow Clearance Collaborative Version 1.5 – It may well happen! 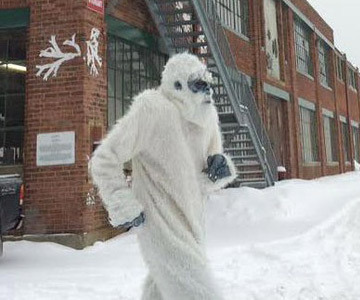 Friends,based on Boston Yeti’s latest observed movements, it looks like we will be called once more to rise up and clear snow for our neighbors come Thursday morning. Stay tuned here for more details as the storm event unfolds in the next 24+ hours. In the meantime, be safe and keep on keeping on, just like the Yeti. Yours truly, The WUR Management. Powerful video here on a well-attended march to protest traffic violence from Brooklyn, where 2 young children were killed last week while walking in a crosswalk with their mothers by a reckless driver with a long history of moving violations, including speeding in school zones, though this crash occurred at a regular crosswalk. Considering what has happened in our city and region recently, we need to consider, seriously and candidly, whether we are doing enough to stop traffic violence and protect everyone on our streets – every senior, every child, every person with mobility issues, and, really, every single one of us – who isn’t in a motor vehicle. I’m afraid that the answer is no. We must do more and we most do it more quickly. I’m with the commenter who says they don’t want safety changes to wait until the next tragedy. We need them everywhere now. Now. NOW. Two personal notes: (1) Park Slope, where the most recent tragedy occurred, happens to be the neighborhood I grew up in; and (2) folks who have worked with LivableStreets Alliance over the last couple of years will recognize Nidhi Gulati, who recently relocated to NY, at about the 4:00 mark in the video. (i) Rob Guptill TONIGHT, March 8 @ 7:00 pm, at the northeast corner of Washington Street and Cummins Highway (RCC).